Amazon.ca Gift Certificates are the perfect way to give them exactly what they’re hoping for – even if you don’t know what it is. 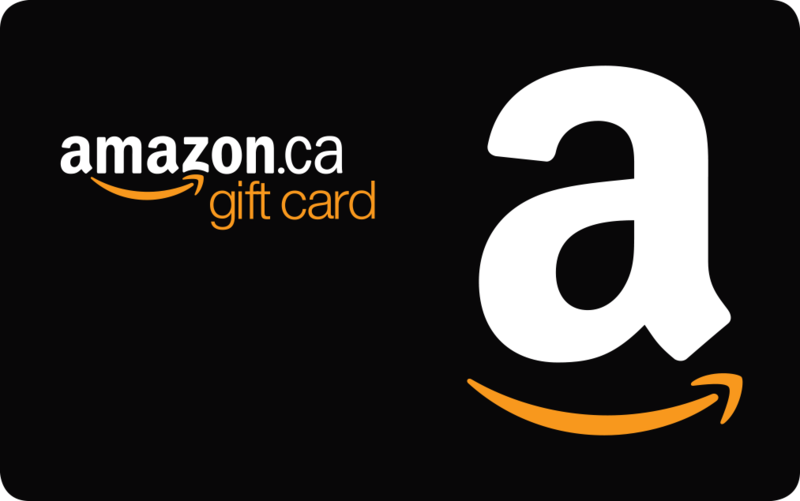 Amazon.ca Gift Certificates are redeemable for millions of items storewide. No expiration, no fees for keeping a balance. Redeemable towards millions of items storewide at Amazon.ca. *Amazon.ca Gift Cards (“GCs”) sold by Stuff Technologies Inc., an authorized and independent reseller of Amazon.ca Gift Cards. Except as required by law, GCs cannot be reloaded, resold, transferred for value or redeemed for cash. GCs may be used only for purchases of eligible goods at Amazon.ca or certain of its affiliated websites and may not be used to purchase other GCs. Amazon is not responsible if a GC is lost, stolen, destroyed or used without permission. For complete terms and conditions, including return policies for any purchases made with GCs, see www.amazon.ca/gc-legal. GCs are issued by Amazon.com.ca, Inc., a Delaware corporation. All Amazon ®, ™ & © are IP of Amazon.com, Inc. or its affiliates. No expiration date or service fees. *Chèques-cadeaux Amazon.ca (“CC”) vendus par Stuff Technologies Inc., revendeur autorisé et indépendant de Chèques-cadeaux Amazon.ca. Les cartes-cadeaux peuvent uniquement être utilisées pour acheter des biens admissibles à Amazon.ca ou sur certains sites Web affiliés et elles ne peuvent être utilisées afin d’acheter d’autres cartes-cadeaux. Amazon ne peut être tenue responsable de la perte, du vol, de la destruction ou de l’utilisation non autorisée d’une carte cadeau. Pour une liste complète des conditions générales, y compris les politiques de retour à l’égard des achats effectués avec des cartes cadeaux, voir www.amazon.ca/gc-legal. Les cartes-cadeaux sont émises par Amazon.com.ca, Inc., société du Delaware. Tous les symboles ®, MD, TM, MC et © Amazon indiquent la propriété intellectuelle d’Amazon.com, Inc. ou des membres de son groupe. Aucune date d’expiration et aucuns frais de service. Wow this was a great service. I was skeptical at first but everything went smoothly. The blockchain confirmations took about 20-30 min and then another hour for the card to come to my email. I used it immediately without any issues at checkout. Easily a 5 star experience. It took about 1hour and 30 minutes, so if you pay and worry why it’s not instant, don’t worry! Stellar Service! Have gotten 4 already, will be using this for the foreseeable future! Buy one today, got the redeem code by email 4 hours later, and used it 1 hour later. No problem occurs ! Great service! Highly recommend it. Didn’t take long for the electronic gift card to be emailed. Will definitely do business with coincards again and recommend it to family and friends. My first order with Coincards went smoothly. Great responsive service. I got the amazon Gift Card by email really fast like within1 hour after my payment. Long live Coincards! I have used this several times, maybe close to a dozen now & never had even one small issue. Works great! Great service and exceptional customer service! Came to my email within minutes of a completed order. This service is amazing. Great Service and amazing support staff . I am a repeat customer and this place never fails. Always an easy transaction. This is a great, legit company.